SUTA Newsletter #71 is now available. You can also access the simple PDF version here. It is with great sadness that we have to inform you of the death of Mr. Hamid Kargari, the 4th Round graduate of Metallurgical Engineering, and the Chairman of the Board of Directors of Iradan Company. We convey our deepest sympathy to Mr. Kargari's family on their loss. 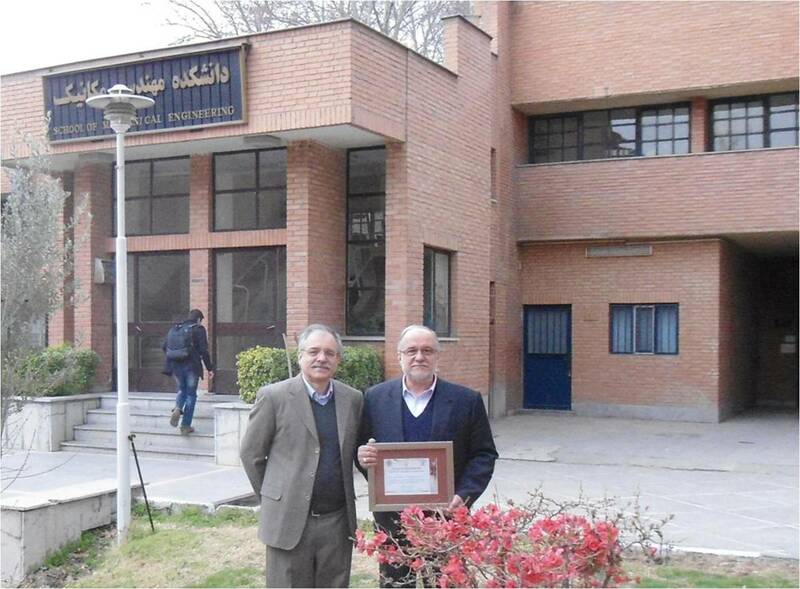 Dr. Sohrabpour (right) receives the Award from Mr. Malihi (former SUTA president) - February 2013. لوح تقدیر انجمن سوتا در سال ٢٠١٢ برای تقدیر از اساتید برجسته دانشگاه صنعتی شریف و به نام دكتر امينبه آقای دکتر سعید سهراب پور استاد دانشکده مهندسی مکانیک و ریاست سابق دانشگاه بخاطر خدمات با ارزش ایشان در مدیریت دانشگاه در بخش آموزش و پژوهش، ارتقای جایگاه دانشگاه و توسعه طرح­های عمرانی دانشگاه تعلق گرفت. دکتر سهراب پور در سال 1322 در تهران به دنیا آمد و در سال 1340 از دبیرستان البرز فارغ التحصیل شد. ایشان پس از طی دوره لیسانس در رشته مهندسی مکانیک از دانشکده فنی دانشگاه تهران در سال 1344 با کسب رتبه اول و بورس دولت وقت عازم امریکا شدند و دوره دکترا را در دانشگاه برکلی کالیفرنیا گذراندند. دکتر سهراب پور از سال 1350 در دانشگاه شیراز مشغول به تدریس شدند و تا قبل از انتقال به دانشگاه صنعتی شریف در سال 1368 عهده دار معاونت دانشگاه شیراز بودند. مسئولیت­های اجرایی ایشان همچنین شامل معاونت عمرانی وزارت بهداشت و معاونت عمرانی وزارت فرهنگ و آموزش عالی می­باشد. ایشان در سال 1376 به پیشنهاد اساتید دانشگاه و از سوی وزیر علوم وقت به ریاست دانشگاه صنعتی شریف برگزیده شدند و تا سال 1389 عهده دار این مسئولیت بودند. دکتر سهراب پور عضو فرهنگستان علوم می­باشند و در سال 1384 به عنوان یکی از چهره­های ماندگار کشور شناخته شدند. 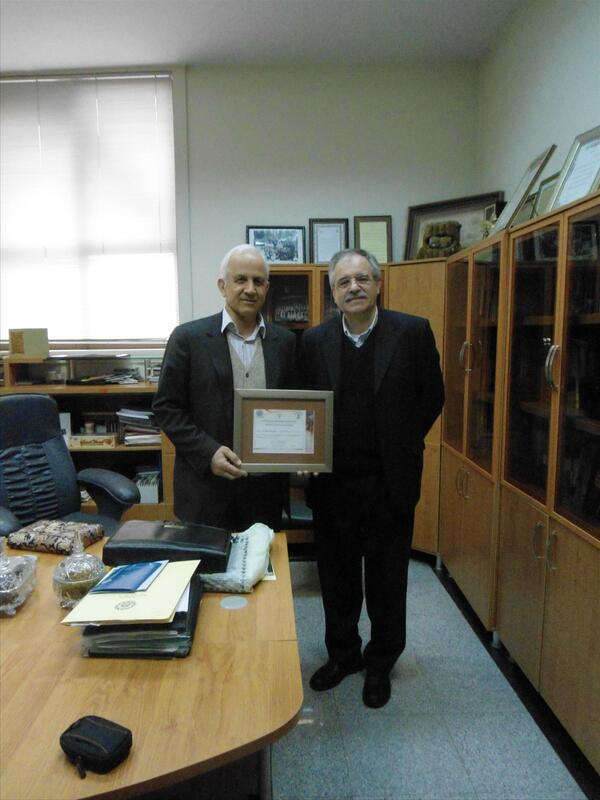 Dr. Mashayekh (left) receives the Award from Mr. Malihi, SUTA advisor, and former SUTA president, Februry 2013. دکتر علینقی مشایخی فارغ التحصیل دوره اول دانشگاه و استاد دانشکده مدیریت و اقتصاد دانشگاه شریف برگزیده امسال لوح انجمن برای تقدیر از فارغ التحصیلان برجسته دانشگاه صنعتی شریف می باشند. این انتخاب به خاطر خدمات ارزشمند ایشان در تاسیس دانشکده مدیریت و اقتصاد دانشگاه صنعتی شریف و خدمات موثرشان در مدیریت انجمن فارغ التحصیلان دانشگاه به ایشان اهداء می گردد. دکتر مشایخی تحصیلات دوره کارشناسی خود را با رتبه اول در دانشکده مهندسی مکانیک دانشگاه صنعتی شریف در سال 1349 گذراندند. ایشان پس از تکمیل دوره لیسانس برای ادامه تحصیل به امریکا رفتند و دوره دکترای خود را در دانشگاه تکنولوژی ماساچوست در رشته مدیریت گذراندند. ایشان پس از بازگشت به میهن با مسئولیت در بخش های مختلف مدیریت و اقتصاد کشور خدمت کردند. دانشکده مدیریت و اقتصاد دانشگاه شریف با همت دکتر مشایخی در سال 1378 تاسیس گردید. ایشان همچنین از سال 1380 مسئولیت دبیرکل انجمن فارغ التحصیلان دانشگاه را عهده دار می باشند. Also Dr. Hojabri has been assigned to the position of Senior Advisor; Other committee chairpersons and the combination of the Advisory Board will be announced shortly. 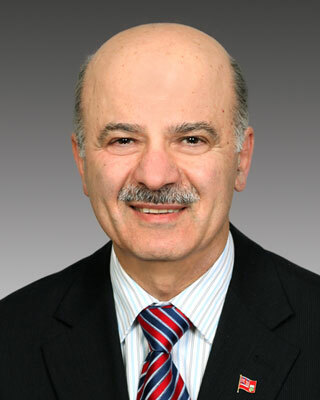 We are delighted and honored to announce that Dr. Reza Moridi, Ontario MPP from Richmond Hill has been appointed as the new Minister of Research and Innovation in the Province of Ontario. We would like to congratulate Dr. Moridi on his new appointment to such a prestigious position and wish him all the bests in this new responsibility. Dr. Moridi is an associate member of SUTA, and has participated at our 2012 reunion in Ottawa as a speaker at our panel on Challenges of Higher Education in Iran: Collaboration among Iranian Academic Associations. 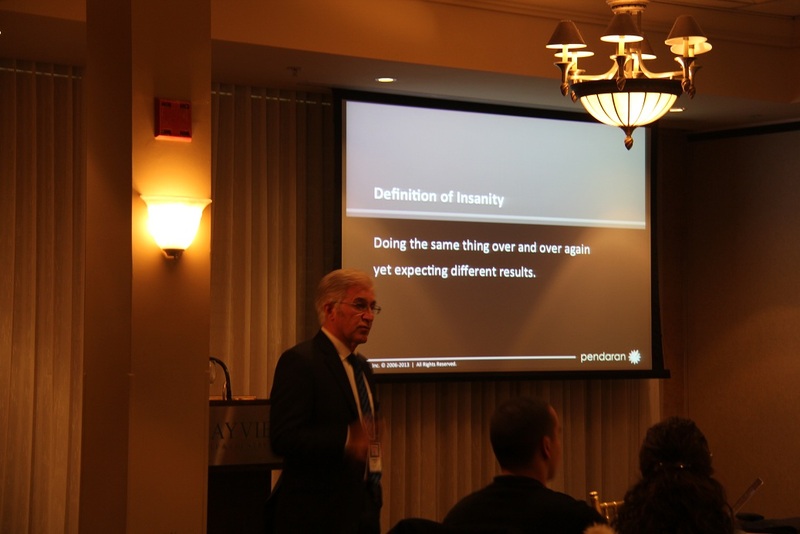 On January 24th 2013, SUTA Toronto Chapter hosted a talk along with a networking session at Bayview Golf and Country Club. Dr. Hossein Nivi, President & CEO of Pendaran Inc., gave the talk on how advanced technology can accelerate active learning. 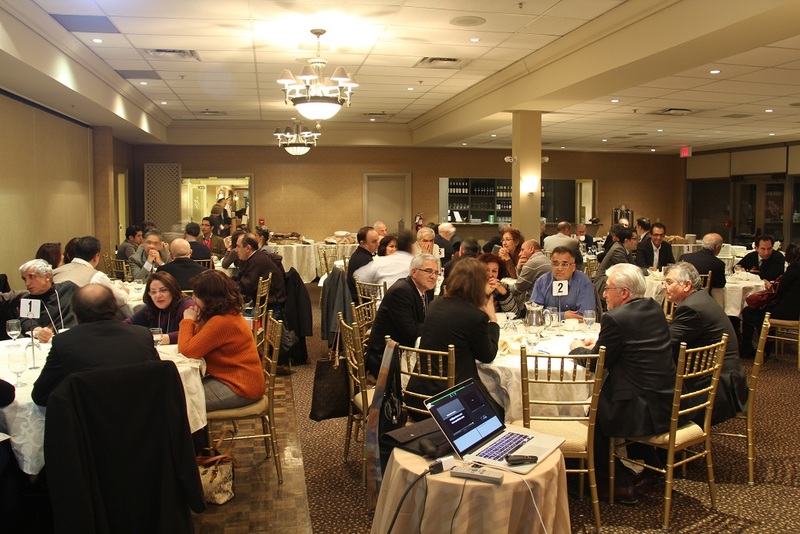 Members from Fanni Alumni Association in Ontario and Mohandes association also attended the event and they each had a table for their members. There were also guests from University of Waterloo and University of Ontario Institute of Technology. Event started with a short networking session. While guests were being registered and assigned to their tables, there was time for people on the same table to get to know each other. Dr. Bahram Zahir, Secretary of the Board of Directors opened the session and introduced Dr. Nivi. Dr. Nivi then started his talk with the importance of experience along with education and how it can affect the quality of the jobs done in the society. This gave him the idea of the Pendaran Inc. to be “a library of experience” as he put it. Pendaran provides its clients with virtual environments of their desired workspace. During the workshops, students are exposed to the obstacles and problems they may face during work. One of the people who has been through this course, Mr. Ali Rahmani, was also present at the event and was invited to talk about his experience during the workshop. During the question and answer session, interesting questions were asked such as how this idea of virtual experience can turn into a four-year bachelor’s degree to improve the quality of education in universities. However, the importance of science and theory was also emphasized. After the talk, dinner was served and ideas were exchanged between the attendees. The results of the SUTA elections for the 7 Board members, fo the 2013-14 period have been announced. You can see the details at this address. After the approval of the elections procedures by the Election Committee and the nomination of 13 members, we moved forward by sending out the ballots on December 30th 2012; the voting period would be open till January 20th 2013 and results will be announced soon after that for the seven positions of the BoD for the period of 2013-14. It should be mentioned that if you have not received the ballot via email, and think that you have the conditions to receive one (meaning that you are an active member: in good standing, of non associate and non honorary level), please let us know ASAP. We would like to invite members to read candidates' profiles and to ask them questions on the forums.